Hockey season has come and gone, leaving me wondering what to do with my evenings now that there aren’t 200 pound grown men on knife shoes trying to put a black rubber disc into a net on my television. While the Washington Capitals consume every drop of alcohol in sight on the heels of their historic win of the Stanley Cup, many of the other players are enjoying some much needed relaxation. 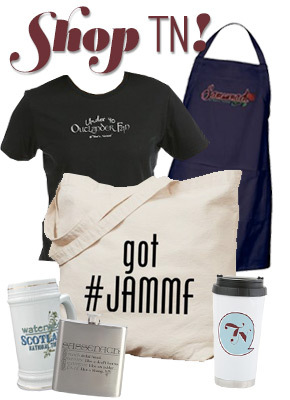 So, we may have to wait until October (oh my god, really?) to see some regular season hockey, but the NHL is far from quiet right now. Trade season is upon us, and some of the faces in the front office and behind the benches are likely to change. Speaking of faces, I’ve touched on before how there are some really good ones in the NHL. The Golden Knights created a team of babes who made NHL history (becoming the first expansion team to advance to the Stanley Cup Final in their first season), and goalies maintain their handsome faces by protecting them from pucks with full face masks, but the face of leadership can be stunning too. Today, we take a good look at some of the team captains who we would follow to the ends of the earth if they asked us. Or at least to the end of the rink. Is it really a list about hockey players if we don’t start with a Canadian boy? 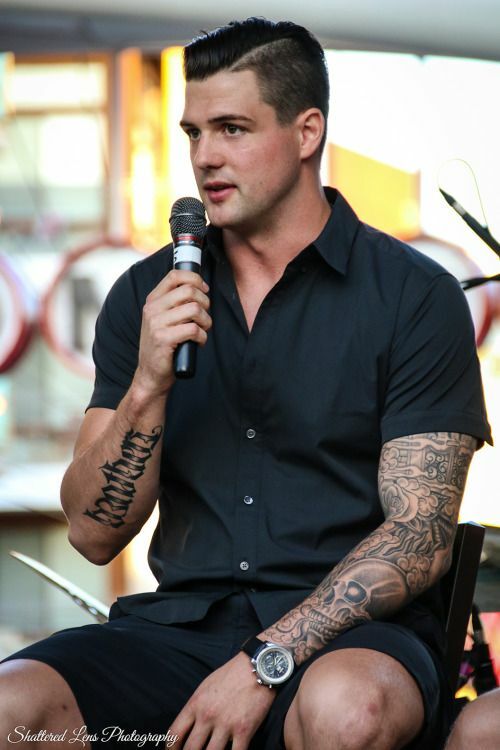 Born in Victoria, Canada, Jamie Benn once played for the Kelowna Rockets – a team that I have booed relentlessly. Questionable facial hair choices aside, Jamie Benn can be pretty babin’ when he remembers to either shave his entire face or let those beard hairs run wild (though his brother Jordie, who also used to play with the Stars, beats him in beard epicness). Benn is seemingly in a contest with teammate Tyler Seguin to see who on the Dallas Stars can cover their arms in tattoos the fastest, which I’m certainly not complaining about. I do love a guy with a ink. Drafted by the Stars in 2007, Benn made his debut with the team in 2009. and has been a driving force with the team ever since, winning the Art Ross Trophy in the 2014-15 season. Believe me when I say that there will be players of other nationalities on this list. But we can’t deny that a lot of hockey boys come from the Great White North, and that there is something in the water here. 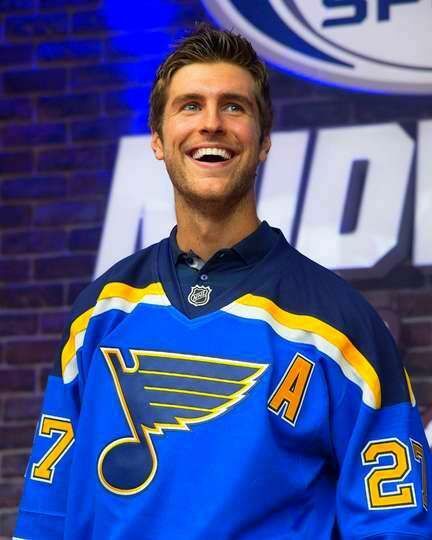 Alex Pietrangelo of the St. Louis Blues became team captain in August 2016, and has been one of the team’s top defencemen since he began playing for them in 2008. But enough about his stats, that’s not why we’re here. His smile is outrageous, and I mean that in the best possible way. I defy you to look at that and not want to break out into a grin yourself. Also, that beard is really working for him. I’m a fan of beards – what more can I say? Hey, guess who made the Stanley Cup playoffs and advanced past the first round and to the conference finals for the first time in franchise history? The Winnipeg Jets! And the man to lead them on the ice to such great heights? 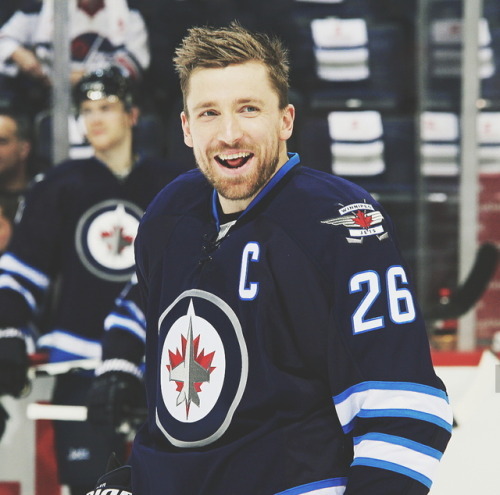 Blake Wheeler! Wheeler has the honour of being our first dreamy American captain on the list, and it’s not without merit. In 2009, Wheeler was hit in the face with a puck and has worn a visor ever since. It’s always baffled me why visors aren’t mandatory, but everyone who likes looking at Blake’s face is probably thankful for his decision to protect his face. For medical purposes, of course. But it’s a nice face, and it would be a shame to lose it. Also, he looks vaguely like Henrik Lundqvist, who we’ve already established is probably the most attractive goaltender currently in the league, so naturally this makes Wheeler one of the most attractive team captains in the league. There’s math involved. It’s all very scientific. I do not like the Philadelphia Flyers, but I love Claude Giroux. You can see the problem that I have here. It’s nothing personal against the Flyers, except the part where it is. Although if you asked me to pinpoint exactly when I started disliking them I don’t think I could tell you. Hockey is weird like that. Regardless, we’re back at it again with the Canadian boys! Giroux has been playing with the Flyers since 2008, and has been captain since 2013, taking over from the much beloved Chris Pronger. His game has improved both since being left off of the Team Canada roster for the Sochi Olympics, and since being moved from center to wing. His talents might also have something to do with his sick flow. 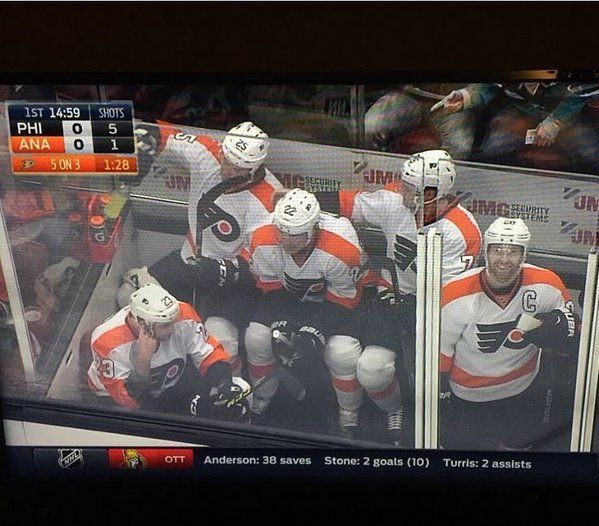 On top of being hella talented and surprisingly adorable, Giroux also has the honour of being in one of my favourite hockey photos ever – in a penalty box with four other Flyers players, smiling up at the camera. Though I may dislike the Flyers, Giroux makes it almost impossible to dislike him. One of two Swedish players on our list today, Erik Karlsson is undoubtedly one of the best defencemen currently in the league. And also one of the best defencemen slash captains! And also also one of the best looking players currently lacing up his skates. Currently sporting some manner of facial hair that almost makes him look like some sort of handsome vampire, once upon a time Karlsson was fresh faced – which is a little jarring to see. 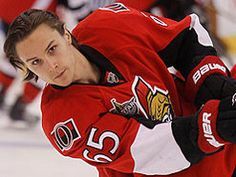 Owner of a killer smile, Karlsson may be on the way out of being captain of the Senators. There have been a lot of rumours swirling about Karlsson’s happiness with the team. The summer is wild for hockey trades y’all. On a more somber note, Karlsson and his wife, Melinda, have been through hell lately. They lost their unborn son, and Melinda has allegedly been the target of harassment from former Senators teammate Mike Hoffman’s girlfriend. Here’s hoping that there’s brighter days ahead for the Karlssons – they deserve it. 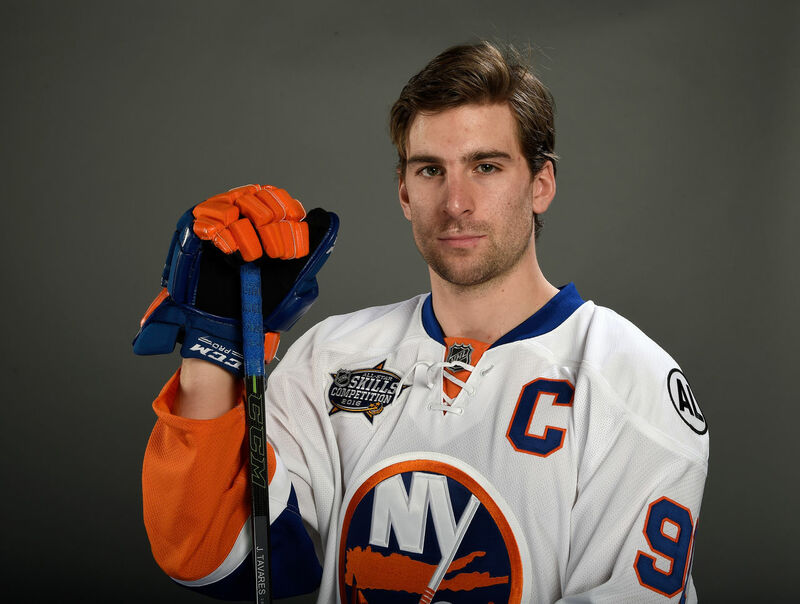 Currently wearing the C for the New York Islanders, John Tavares might not for much longer actually, so his spot on this list may become null and void. But as of writing this, he’s still there, so we shall proceed. 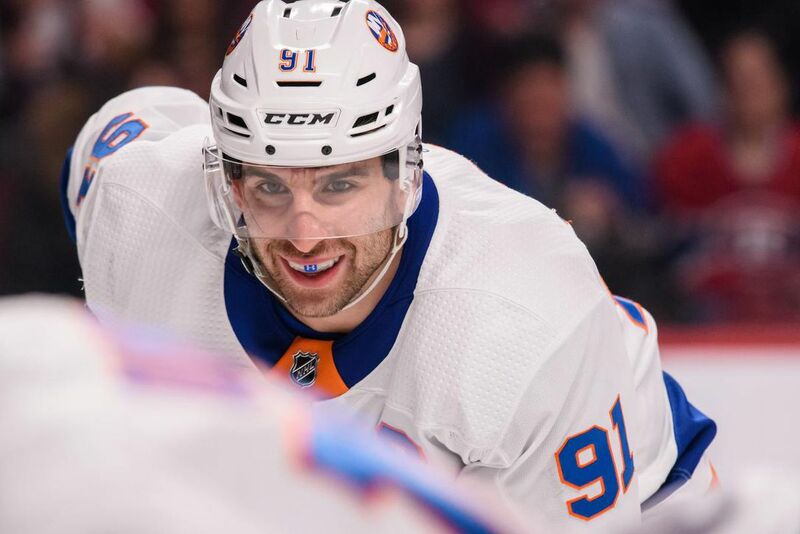 Playing with the Islanders since 2009, and serving as captain since 2013, Tavares has been praised as being able to anticipate the play. He’s often reserved and guarded with the media, and not overly fond of the spotlight. But he’s also praised for being a natural leader on the ice. Some players just don’t want to be part of the media circus. He also may be one of the few hockey players to have all of his natural teeth. Along with a visor, he is always sporting a mouth guard as well, perfect for keeping those pearly whites in place! One of 14 Swiss players currently in the NHL, Roman Josi joined the Nashville Predators in 2010 and was named team captain in September 2017 – making him the newest captain on our list! Though he’s not the best looking player on the team (P.K. Subban, who is due for his own list of some sort at some point let’s be real, has that honour), he is definitely the most handsome captain (because there can only be one). Josi is also in possession of the tallest hair when he’s not experiencing some helmet hair. He also looks like he could potentially be someone’s grandfather who was really hot back in the 1940’s. 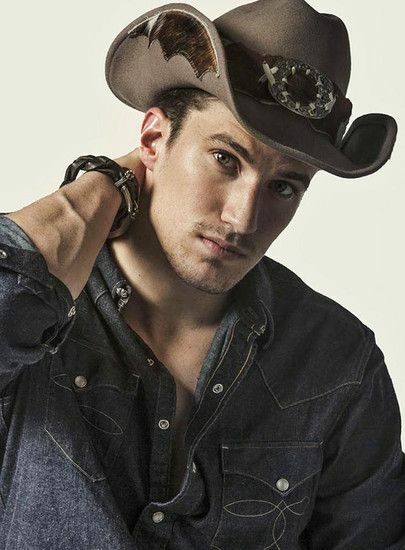 His defensive skill played a crucial role in getting the Predators to the Stanley Cup conference finals in 2017, and whether or not he actually has an affinity for cowboy hats since arriving in Nashville we may never know. It was going to be a Swede. You knew it. I knew it. Your mother knew it. 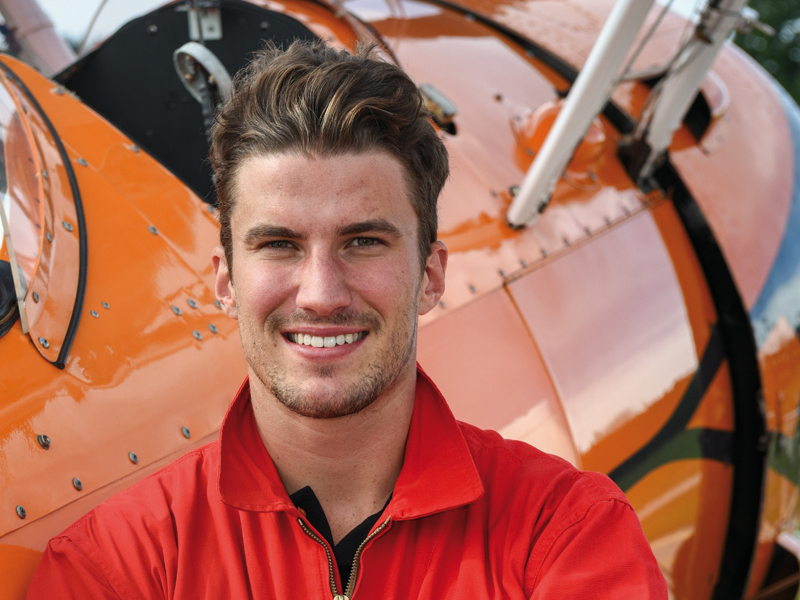 Not to say that players from other countries aren’t gorgeous, they certainly are. But if you see a blond haired, blue eyed player on the ice there is a 98.9% chance that his lineage can be traced back to the same country that gave us ABBA, his hockey skills forged in the land of Jofa helmets. 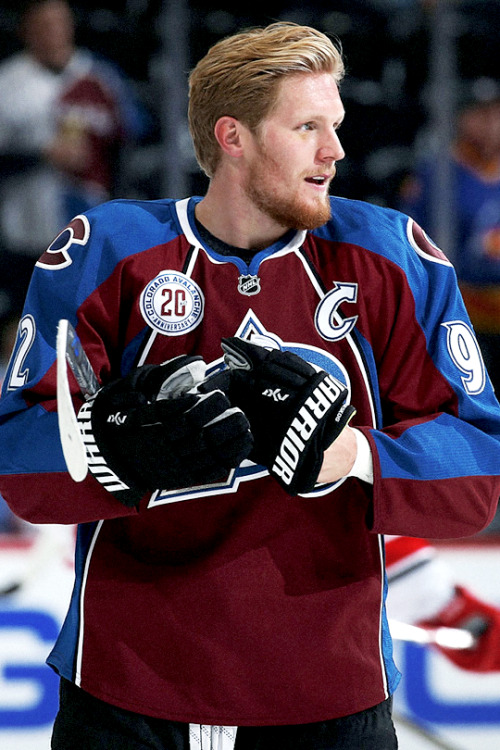 Most likely to actually be an actual secret Swedish prince, Gabriel Landeskog plays for the Colorado Avalanche, and has done so for the entirety of his seven year NHL career. On September 4, 2012, he was crowned the team captain, at the time making him the youngest captain in NHL history at 19 years and 286 days (if you couldn’t tell by now sports fans love their stats). “Landy,” who literally chirps at his teammates and conducts interviews while not wearing a shirt, is probably exactly what you pictured when you closed your eyes and tried to conjure up an image of some Swedish babe. Now he’s an actual person who you can look up pictures of. You’re welcome. I know I’ve said it before, but it takes a great amount of skill to ascend to the ranks of being an NHL hockey player. It takes an even greater deal of it to lead a team, both on and off the ice. The players that have been listed here are all phenomenal captains, who are beloved by their fans and respected by their teammates. Bless these fearless leaders for lacing up their skates. May they all one day see the benefit of the visor. Feminist tornado. Bucky Barnes enthusiast. Ardent musicophile. Sportpuck connoisseur. Audible dog reactor. Enjoys beverages that are warm. Follow her on Twitter @megancox!